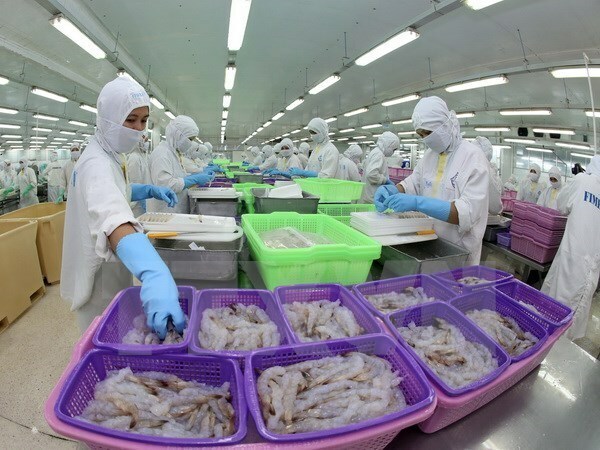 Thua Thien-Hue (VNA) – The central province of Thua Thien-Hue shipped 474.7 million USD worth of products to foreign countries in the first seven months of the year, a year-on-year surge of 24.88 percent. Of the total, 268.2 million USD was contributed by the foreign-invested sector, up 28.3 percent and 137.4 million USD by the private sector, up 30.54 percent. The US continued to be the largest purchaser, accounting for 44 percent of the province’s export revenue. Along with traditional markets like China, the EU, Japan, the Republic of Korea and Taiwan, local products have been shipped to Cambodia, India, Slovakia and Sri Lanka. Key earners, including industrial processed products, agro-forestry-fishery products, fuel, mineral, beer, Sake, fine art and crafts recorded strong growth. Notably, exports of aquatic products doubled to 16 million USD. The province also spent 303.9 million USD purchasing materials from foreign countries, increasing 8.35 percent from the same time last year. Most of the imports were garment support materials and spare parts, with China still the main source of these imports.